Cricket Lane Winding Hole is a minor waterways place minor waterways place place on the waterways major waterways place village town city on the Birmingham Canal Navigations (Lichfield Canal (Under Restoration)) between Ogley Junction (Junction of the Wyrley and Essington and Lichfield Canals with the Anglesey Branch) (5 miles and 3¼ furlongs and 24 locks to the west) and Huddlesford Junction (1 mile and 7¼ furlongs and 6 locks to the east). The nearest place in the direction of Ogley Junction is Cricket Lane Bridge; a few yards away. The nearest place in the direction of Huddlesford Junction is BCN Cottage 265 (The cottage is now a private residence); ¼ furlongs away. 16-18 Tamworth Street, Lichfield, WS13 6JJ — 1617 yards to the northwest. 7 Bore Street, Lichfield, WS13 6LJ — 1625 yards to the northwest. Hotc shopping village Swinfen, Lichfield, WS14 9QR — 1484 yards to the north. George Lane, Lichfield — 1635 yards to the northwest. Lichfield — 1508 yards to the northeast. Lichfield — 1484 yards to the north. Birmingham — 1328 yards to the west. Boley Room, Lichfield Rugby Club, Cooke Fields, Tamworth Rd,, Lichfield, WS14 9JE — 47 yards to the west. Ryknild Street, Lichfield, WS14 9 — 1124 yards to the northeast. Lichfield, WS13 7JF — 1484 yards to the north. Brook House, Brook Square, Rugeley, WS15 2DT — 1591 yards to the northwest. 7 st Johns street, Lichfield, WS13 6QU — 1585 yards to the northwest. 8 Tudor Row, Lichfield, WS136HH — 1565 yards to the northwest. Lichfield — 1575 yards to the northwest. Station Rd, Lichfield, WS13 6 — 1266 yards to the northwest. Rykneld Street, Lichfield, WS13 8RD — 779 yards to the northeast. 13a St John Street, Lichfield, WS13 6NU — 1561 yards to the northwest. 63 Tamworth Street, Lichfield, WS136JW — 1587 yards to the northwest. 55 Wade Street, Lichfield, WS13 6HL — 1546 yards to the northwest. Lichfield, WS13 7BZ — 1434 yards to the northwest. The Coach House , 11 Tudor Row, Lichfield, WS13 6HH — 1565 yards to the northwest. 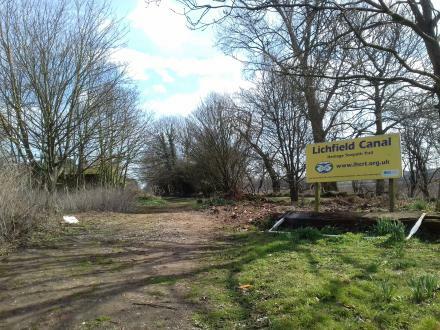 Lichfield, WS149FN — 1190 yards to the north. Unit 10, Shires Industrial Estate, Essington Close, Lichfield, WS14 9AZ — 1356 yards to the west. Castle Dyke, Lichfield, WS13 6HR — 1519 yards to the northwest. Lichfield — 1543 yards to the northwest. 5 Wade St, Lichfield, WS13 6HH — 1517 yards to the northwest. 59 Birmingham Road, Lichfield, WS13 6PG — 1283 yards to the northwest. 59 Tamworth Street, Lichfield, WS13 6JW — 1593 yards to the northwest. Lichfield — 1456 yards to the northwest. Upper St John Street, Lichfield, WS14 9ED — 628 yards to the northwest. Wade Street, Lichfield, WS13 6HR — 1523 yards to the northwest. Lichfield, 07526226888 — 1484 yards to the north.